Hail to the Chief. 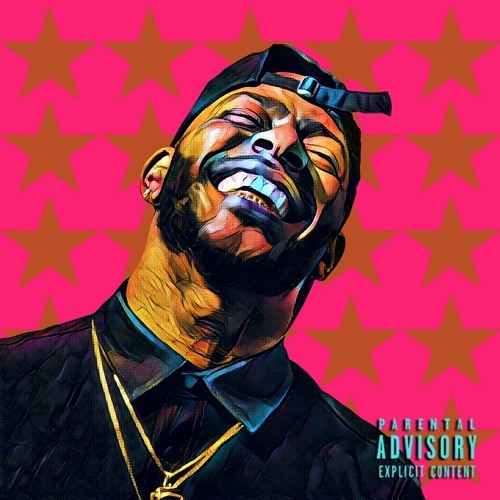 A rising young R&B talent with silky vocals and prodigious skills as an emcee, Eric Bellinger returns to the national forefront with his new mixtape Eric B. For President: Term 1. Premiered today by VIBE, the mixtape is a potent fusion of Hip-Hop and R&B, featuring sensuous bedroom jams like “Remind Her” alongside street rap bangers such as “Snappin’ and Trappin’.” An accomplished songwriter with a Grammy win and an endorsement from Barack Obama, the Compton-born artist named the mixtape as a salute to “Eric B. Is President,” the classic track from Eric B. & Rakim‘s iconic Paid in Full. Featuring appearances from RJ, 11:11, ARoc, and Phil Ade, who guests on the lavish Billboard-premiered album highlight “In My Prime“, Eric B. For President is a fully-realized artistic effort, showcasing Bellinger’s considerable talents with melody and providing an ideal soundtrack for this election season. A talented athlete in high school, Bellinger turned down a scholarship from Division I football powerhouse USC to follow his musical passion, joining the R&B group AKNU and signing to Epic Records in the early ’00s. After AKNU disbanded, Eric, the grandson of “Rockin’ Robin” singer-songwriter Bobby Day, discovered his passion for songwriting. Under the tutelage of acclaimed songwriters such as J.R. Rotem and Rodney Jerkins, Bellinger racked up dozens of songwriting placements, including hits forUsher (“Lemme See”) and Justin Bieber (“Right Here), eventually earning a Grammy for working on Chris Brown‘s F.A.M.E. Bellinger emerged as a solo artist in 2013 with his first mixtape The Rebirth, and hit his stride as a hitmaker with Cuffing Season, which peaked at #6 on the Billboard R&B Chart, and Cuffing Season Part 2, which included the hit radio single “Valet” featuring 2 Chainz and Fetty Wap. Earning over 10 million views on YouTube, Eric has established himself as a bonafide hitmaker as an artist and a songwriter, and he cements that rep with Eric B. For President: Term 1, available now on iTunes and Spotify. Please contact Michelle or Dharmic if interested in talking with Eric Bellinger. Over the last 6 years, Eric Bellinger has become one of the music industry’s most sought after songwriters while also proving himself to be equally talented as a singer and a rapper. Seamlessly fusing smooth and retro R&B melodies with edgy hip-hop, Bellinger, the grandson of “Rockin Robin” songwriter Bobby Day, has earned the reputation as quick yet intuitive songwriter. Having collaborated with Grammy-winning songwriter/producers J.R. Rotem and Rodney Jerkins, the Compton, California native has quickly racked up more than 80 song placements just in the last two years alone, writing for Justin Bieber, Nicki Minaj, Chris Brown, Usher, Trey Songz, Jennifer Hudson, The Game, and Janelle Monae. He has scored hits with his songwriting for Justin Bieber (“Right Here,”) Usher (“Lemme See,”) and Chris Brown (“Fine China.”) His work with Brown, specifically his contributions to Brown’s album F.A.M.E., also earned him a Grammy award. Following 10 years of being in singing groups, the former church boy singer formally stepped out as a solo artist in 2013, steadily churning out a series of well-regarded mixtapes. Working with artists including 2 Chainz, Kid Ink, Mya, Ty Dolla $ign, and Sage the Gemini, Bellinger quickly found success as a solo artist, selling out his U.K. tour, getting his independent label YFS distributed by Lyor Cohen’s 300 Entertainment, and amassing over 10 million views on YouTube. Bellinger has come full circle as a triple-threat talent, simultaneously forging a burgeoning solo career while further cementing his reputation as one of R&B and pop music’s top go-to writers.